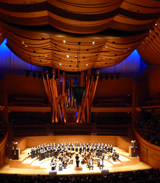 Los Angeles Chamber Choir is dedicated to the very highest quality of music performance and community outreach programs for the people of Los Angeles and the surrounding areas. The purpose of the choir is to promote the joy of choral music in our community by offering seasonal concerts and charitable performances that educate and entertain children and adults in the Los Angeles area. We also believe that outstanding choral performance need not be limited to the formal concert hall, but should be available to everyone. Thus, we actively seek performance venues accessible to individuals who have the tendency to be overlooked by the performing arts community. Every member of Los Angeles Chamber Choir adheres to the purpose and strives to achieve community services via music. 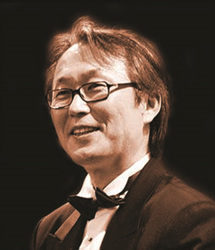 Conductor: Chung Uk Lee Korean-born conductor and bass-baritone Chung Uk Lee studied with Dr. Young-Jo Lee and holds a Bachelor of Music in Composition and Music Theory from Yonsei University in Seoul, Korea. Since moving to Los Angeles, he studied orchestra conducting with Hans Beer and voice with Bard Suverkrop and choral music with Dr. William Dehning and holds a Masters of Music in Choral Music and completed the DMA program in choral music at University of Southern California. During his period of study at USC, he was awarded a full scholarship and also he was assistant conductor of the University Chorus and taught choral conducting. 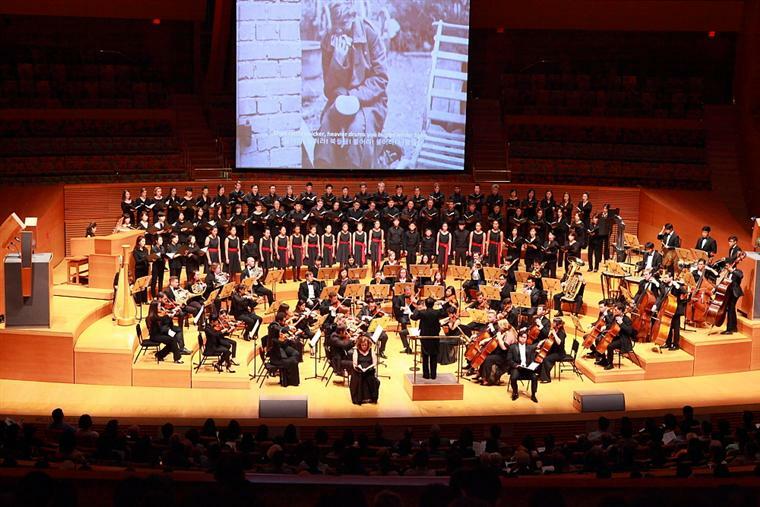 He was guest conductor of many choruses, such as the Korean Christian Choral Society, and he was choral clinician for University Chorus of the University of San Diego. As a singer, he has precise pitch and a warm, soft voice and he has sung in many concerts. He sang the role of Kezal in Smetana's Prodna nebesta with the USC Opera, and Handel's Judas Maccabaeus, Kodaly's Budvari Te Deum, two late Haydn masses, and J.S. Bach's St. Matthew Passion at USC. His Bach interpretation, both as a singer and as a conductor, has been praised by Dr. Helmuth Rilling, a conductor who is a very highly regarded interpreter of Bach. Dr.Rilling also gave lessons to Mr. Lee on many occasions. Mr. Lee is also a very talented interpreter of the whole gamut of music, from the earliest periods to contemporary music. He is the music director of the Los Angeles Chamber Choir and Yong-Nak Church of Los Angeles. He is currently serving as Adjunct Professor of Voice at Azusa Pacific University.